Tuesday March 27, 2019 - The surprise lunch meeting between President Uhuru Kenyatta and his Deputy, William Ruto, yesterday has sparked speculations regarding what really was discussed between the two Jubilee leaders. This is after it emerged that a handful of Members of Parliament (MPs) were also among the special delegates who graced the lunch. National Assembly Majority Leader, Aden Duale, confirmed that he was present at the lunch while declining to divulge what he discussed with the top national leaders. 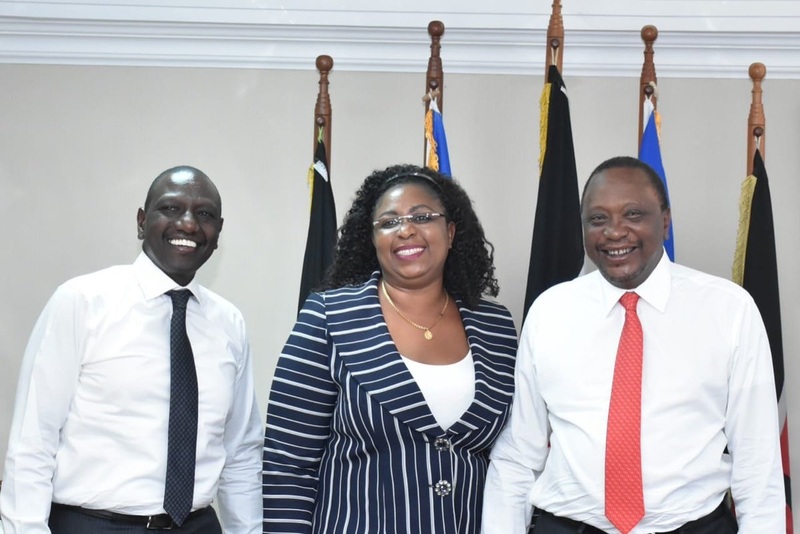 Malindi MP, Aisha Jumwa, who was kicked out of Raila Odinga’s ODM party recently, was also present for the surprise visit by President Kenyatta. Sources reveal that Uhuru met with Jumwa privately for a few minutes. The President is said to have found Jumwa with DP Ruto in his office and remained with the legislator for some time before the DP returned. Soon after the President had met with Jumwa, Duale arrived accompanied by Majority Whip, Benjamin Washiali. The three MPs were among the delegates at the luncheon.